Mary has been employed by the James Family Prescott YMCA for 10 years. 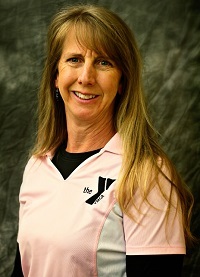 She is certified to Personal Train through ACE and certified in Group Instruction through the YMCA of the USA and AFFA. 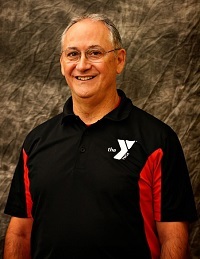 Making sure that the YMCA maintains a quality fitness staff to take care of members is a priority. Whether you are looking for a Personal Trainer or get involved in a Group Fitness class, you will find am impressive group of qualified individuals dedicated to helping our members. Mary still teaches the occasional class to stay in the mix, but now channels her lifelong enthusiasm for fitness into programming and management. Charlie’s passion for the fitness lifestyle and his background in competitive cycling, swimming, running and triathlons makes him uniquely gifted as a trainer. Charlie relates to the challenges a client encounters while working towards their goals. As a AFAA certified trainer, he brings all his knowledge and understanding of these experiences to provide insight, and understanding to his client’s training needs from general fitness to specific sports goals. 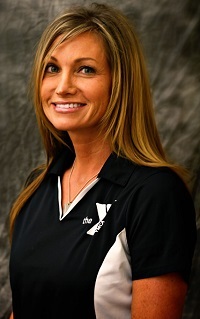 Candi is Certified as a Personal Trainer, is a Specialist in Sports Performance Nutrition and also Certified in Group Fitness through both the ISSA and the YMCA . Her lifelong love of fitness and struggle with eating disorders has enabled her to better empathize with others fitness and health challenges. She has developed a passion to help others as they work to achieve their goals. Let her design a personalized and unique program for you by incorporating nutrition, core strengthening as well as functional training moves. From Switzerland, Nino is an competitive mountain cyclist, and avid hiker and snow skier. Before becoming a Certified Personal Trainer and Pilates Instructor, Nino was diagnosed with arthritis of the spine. It is no wonder that his special expertise is core exercise. Nino enjoys working with people to help them achieve their unique goals. 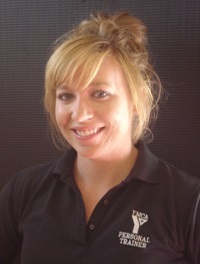 Katie is a personal fitness trainer, certified through the National Academy of Sports Medicine (NASM). She is passionate about fitness, health, nutrition and overall well-being. Katie specializes in weight loss, strength and conditioning and general fitness. She trained several years on a competitive gymnastics team and continues to share her knowledge in a coaching setting. She is also a competitor in a bodybuilding/fitness competitions. Katie aspires to be a Physical Therapist and is currently working as a Physical Therapy tech while pursuing her education. Katie is kind and sweet but will push your limits to help you reach your fitness goals. 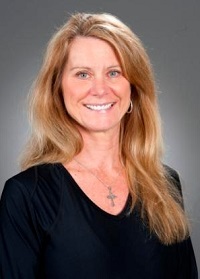 Diane is a Nationally Certified Personal Trainer and Group Fitness Instructor and has 25 years experience in fitness and wellness. 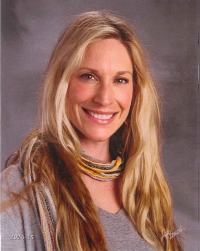 She has experience and certifications in weight training, pilates/yoga, martial arts, tae kwon do (black belt) and nutrition. Diane's goals are to motivate, boost confidence and educate her clients to make healthier choices to live a happier and longer life. She will work with you to develop a fun and functional exercise/nutrition program that fits your needs, values and visions while helping you overcome any barriers you may have, so you can reach your wellness goals. Diane is currently teaching Pump Iron, Women on Weights (WOW), Tae Kwon Do and Youth Fit. Denise is Certified as a Personal Fitness Trainer through the American Council on Exercise (ACE). She has maintained her certifications since 1994. She helps her clients reach their personal best, be it in health, fitness or appearance. With a background in bodybuilding and a thorough enjoyment of several physical activities, she understands the commitments and rewards when fitness is a part of life. She successfully works with her clients to design personalized programs that will work for them and keep them committed to their purpose. Bob is a knowledgeable weight trainer who loves passing on this enthusiasm to others. He takes a diverse approach to fitness, balancing cardio, weight training and stretching as part of his daily workout program. 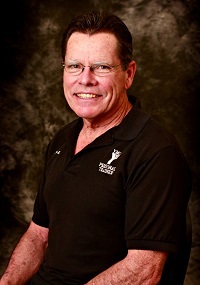 Bob is a Certified Personal Trainer with National Academy of Sports Medicine (NASM). , Bob is a retired engineer from Southern California. Caleb, AKA DJ Caleb, is a certified Personal Trainer through the American Councel on Exercise (ACE) and holds current certifications as a Zumba and Pound group fitness instructor. Since breaking into the group fitness scene in 2015, his classes have quickly grown in popularity and are known for providing a fun and fabulous workout. Caleb has been a regular in the weight room since he was 14 years old and loves teaching and encouraging clients of all ages and fitness levels. "Fitness is a celebration of what your body can do and achieve," Caleb says. Caleb enjoys DJing, composing EDM music, skateboarding and gymnastics. 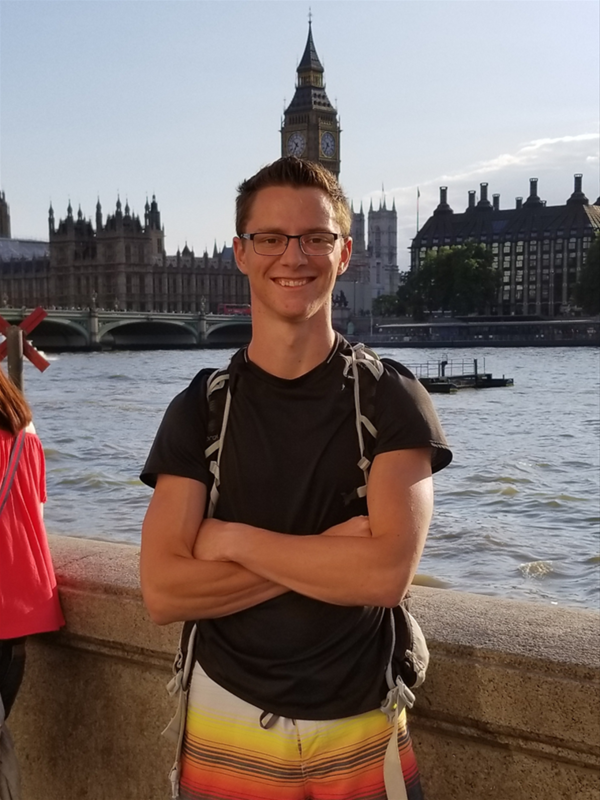 Caleb is a Personal Trainer certified through the National Federation of Professional Trainers who also recently graduated with a degree in Exercise Science. He has the ability to train a wide variety of clients due to his experience as a multi-sport athlete, including one of the top football training programs in the Midwest, as well as, work and personal experience in a rehab setting. 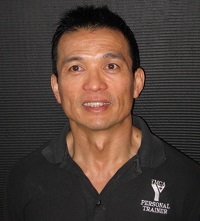 His specialities include physicque training, nutrition and working with aging adults. Caleb enjoys working the clients who are passionate about changing their lives to improve their health and well-being. Using proper training, nutrition and stress management, he can help you become the best you possible. Chris is an excellent listener with the ability to create a personalized fitness program that will help you in reaching your fitness goals. Having had both a full hip and partial knee replacement, he understands the challenges of recovery. Currently, he competes in mountain bike events and also enjoys backpacking, hiking, skiing, kayaking and other outdoor activities. So, whether you are rehabilitating, training for an event, or improving overall health, he has the experience and knowledge to create a fitness program right for you. Chris is an ACE certified personal trainer with additional certifications in Functional Movement Systems (FMS), YMCA Group Fitness and Schwinn Cycling instruction. , He is also an IMBA mountain bike certified guide and basic skill instructor. Chuck has been an avid weightlifter most of his life. He was very active in sports and later coaching. After going through a total knee replacemet due to a decades old sports injury, and having to learn how to train differently, he wanted to pass on some of that knowledge to help others to recover and get back to an active and healthy lifestyle. He received his personal training certification from the National Academy of Sports Medicine (NASM) also receiving a certification speciality in Senior Fitness. He is very motivated to help people of all ages meet their goals and get the most they can from life. Sarah has been a fitness educator for 15 years, with a resume that includes ski instruction, teaching indoor and outdoor rock climbing and rope skills, canyoneering and competitive running. In addition to being an ACE certified personal trainer, she has been a group exercise instructor, appeared in several exercise videos and has been a registered Ashtanga/Vinyasa yoga teacher since 2001. She is certified in TRX Suspension Training, Turbo Kick, RIPPED, PiYo, Insanity and much more. Sarah believes in training the whole person - inside and out - and finding what works best for your lifestyle and body type. She will encourage you to transform the experiences you have had with exercise and your body, observe your attitudes, feelings and beliefs to create positive change with lifelong results. She encourages building self empowerment and gaining a deep connection to yourself through a holistic approach which focuses on a fine tuned balance of nutrition, cardio and strength training, flexibility, balance, coordination and alignment - all to help achieve optimal physical health and well-being. Let her assist you in finding the joy in rediscovering your best SELF!